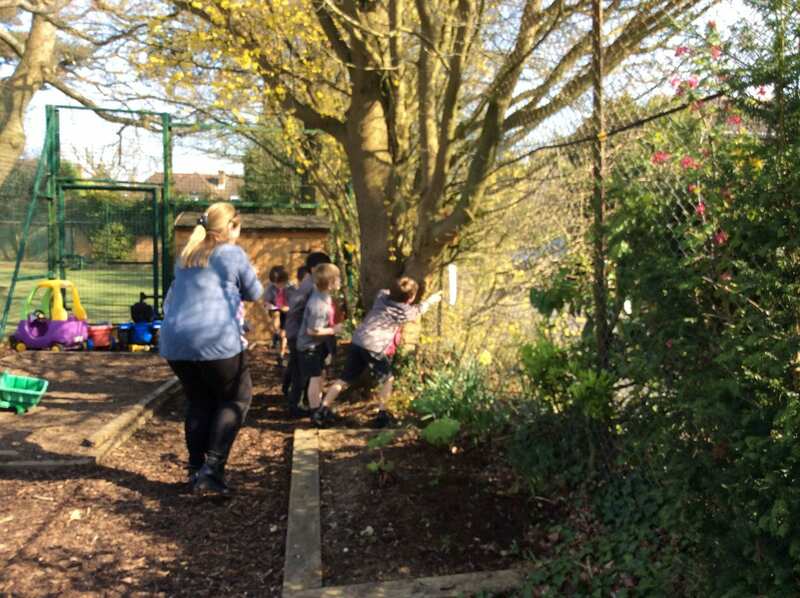 1G's Blog | Come in and find out what we are up to! 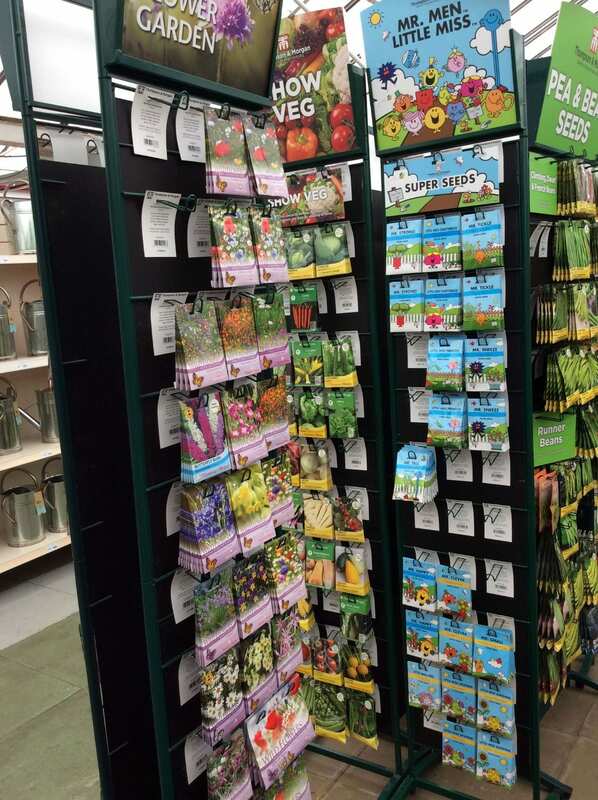 Come in and find out what we are up to! This weeks ‘Word of the Day’. Please continue to encourage your boys to use these words at home and to tell you the meaning. Thank you. We had a party for Evren yesterday! 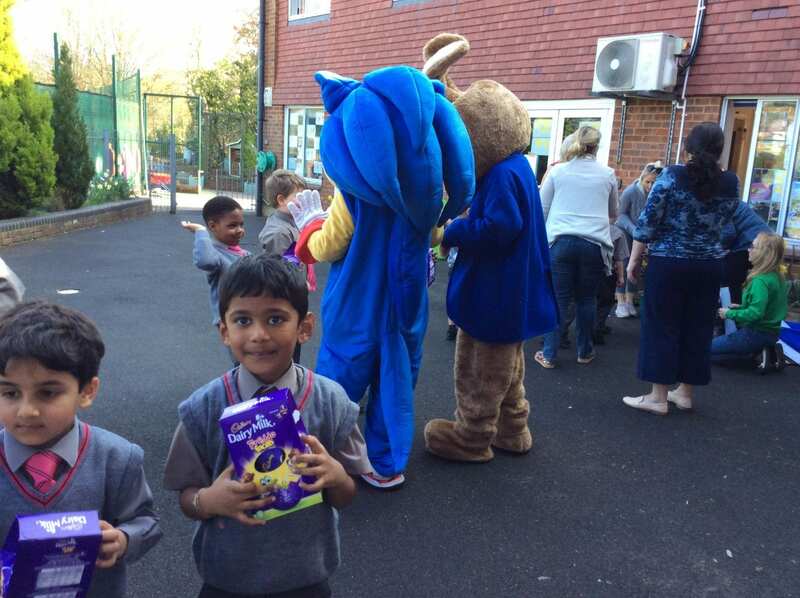 The boys played some games, enjoyed some treats and watched some of Evren’s favorite movie Cars! In Literacy the boys have been learning about prepositions. 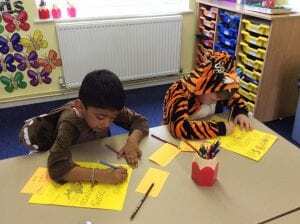 They have been writing using prepositions. The boys also know that a synonym is a word that means the same or similar to the WOD. The boys took it in turns to name a synonym for all of our WOD. The boys also know that an antonym is a word which has the opposite meaning. 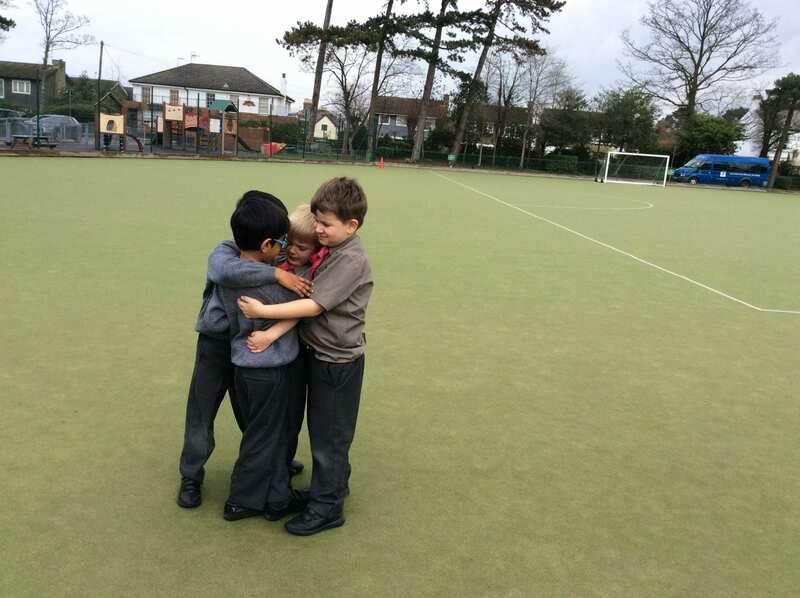 The boys were fantastic at thinking of antonyms for each word. The boys had a great time watching the ducklings take a swim! Ryan with Ryan the duckling. 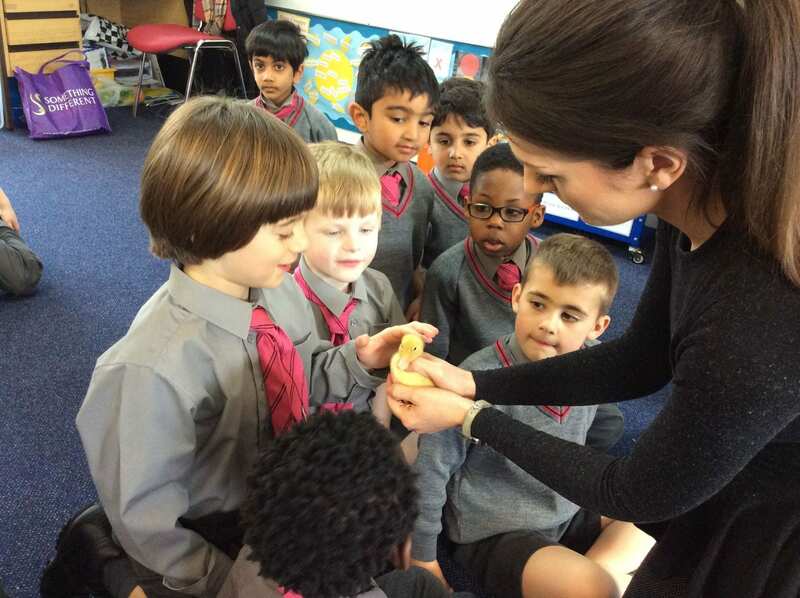 Mrs Demetriou visited the boys this week with her dog Cali, along with his two friends Harry and Blossom. 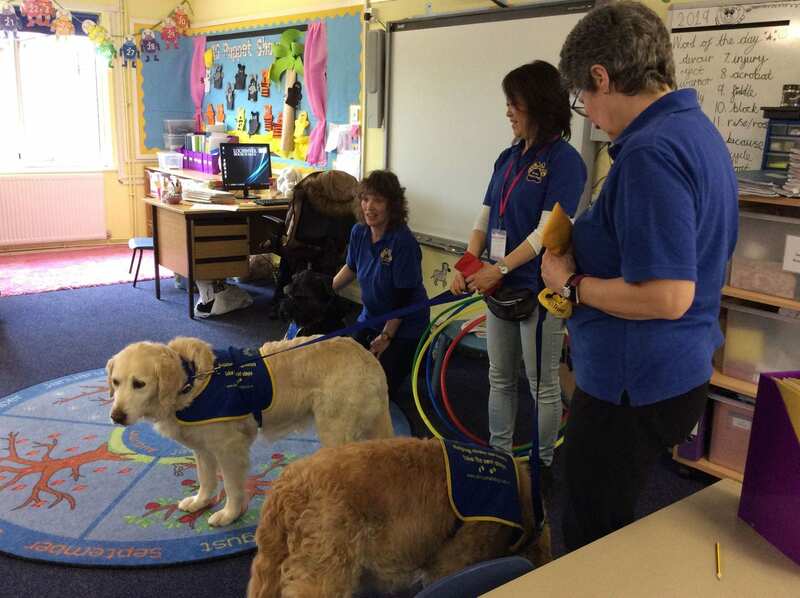 The dogs do some valuable work for the Stroke Rehab Centre. 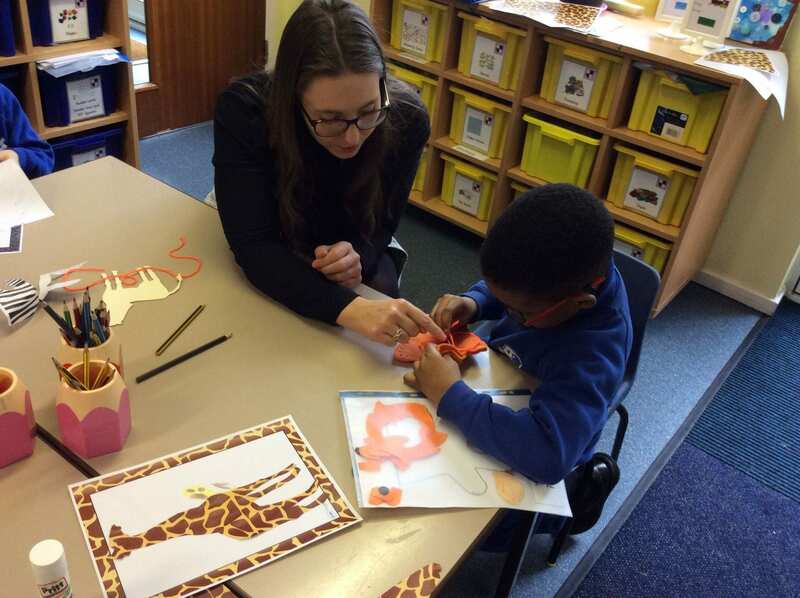 Mrs Demetriou demonstrated some of the tasks they encourage the patients to do. 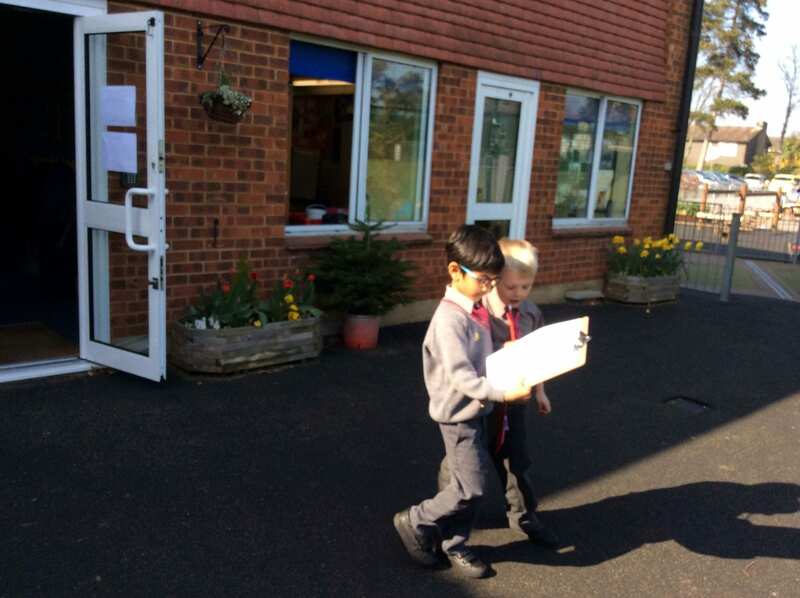 In Maths this week the boys have been learning how to tell the time using a digital clock. The boys can read and write the digital time for o’clock, half past, quarter past and quarter to. 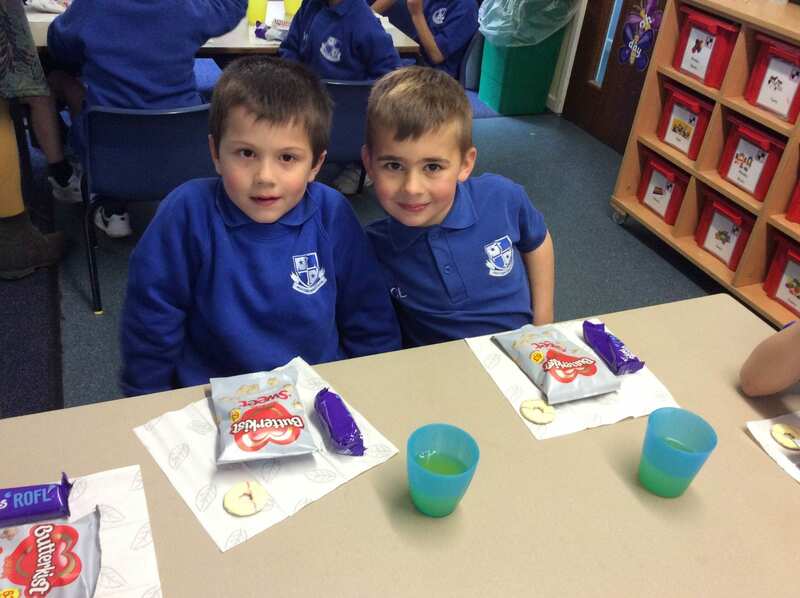 In RS this week the boys learnt about St. Patricks day. 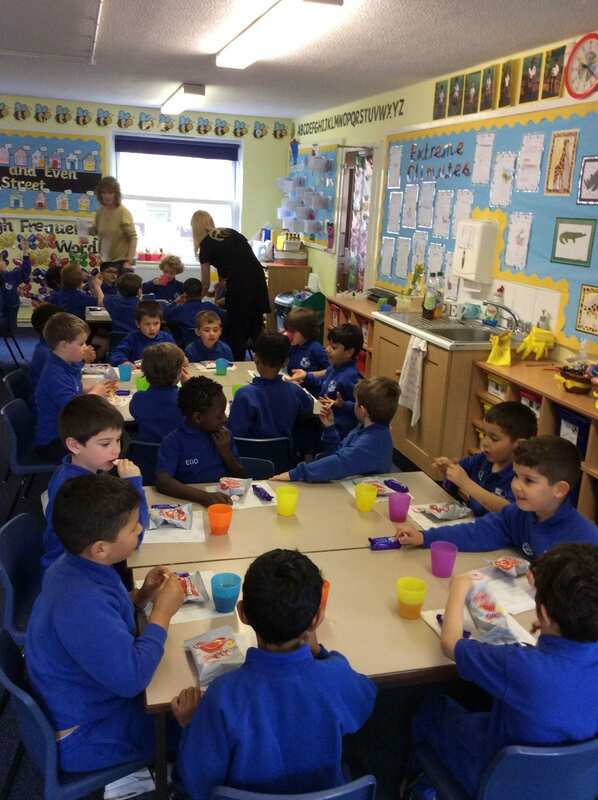 They learnt what a bossy verb is and made a green smoothie! 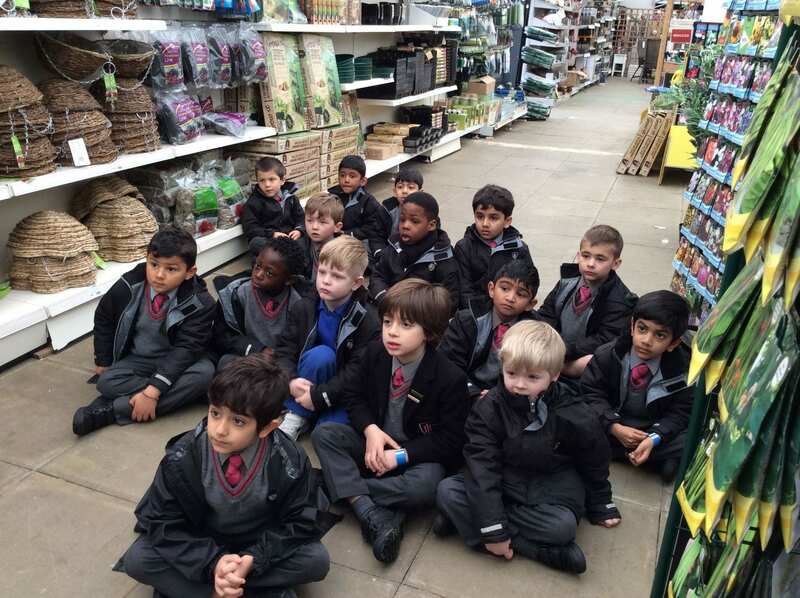 On Thursday the boys had a wonderful time at the Dutch Nursery. 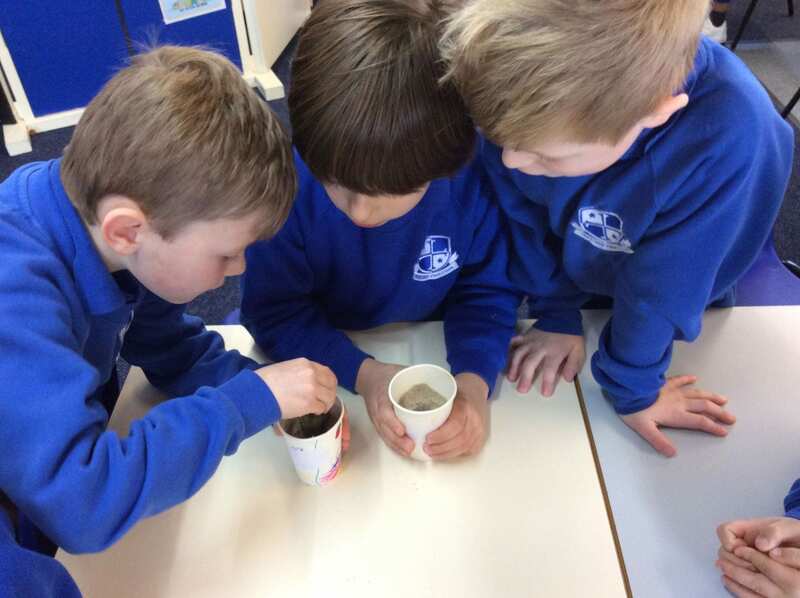 The boys learnt about how to plant seeds. 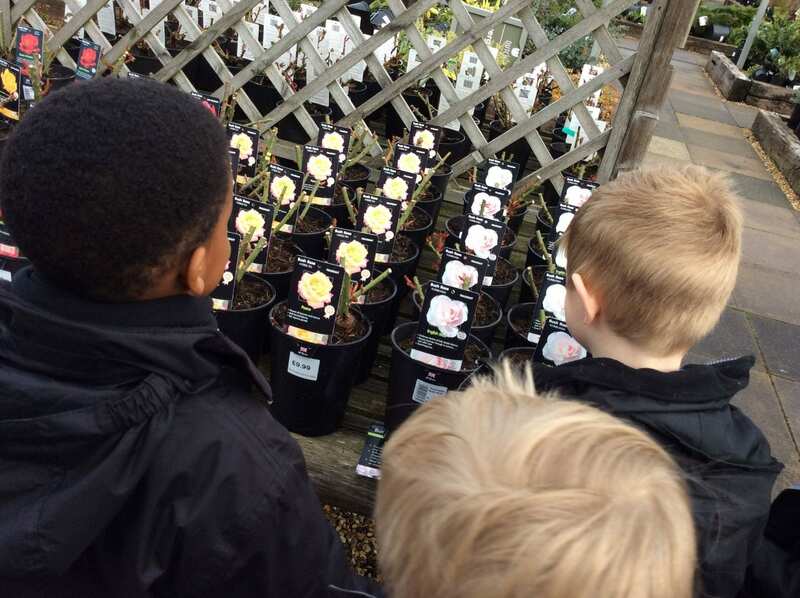 They boys were given £1 each and they went shopping with their friends. We wrote a shopping list before and the boys found the items. 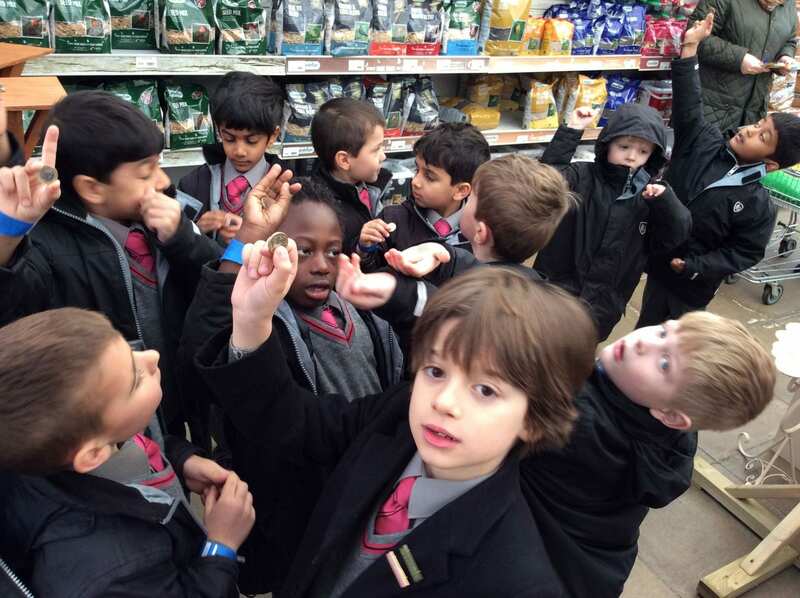 After the boys used their knowledge of adding coins to buy their products. 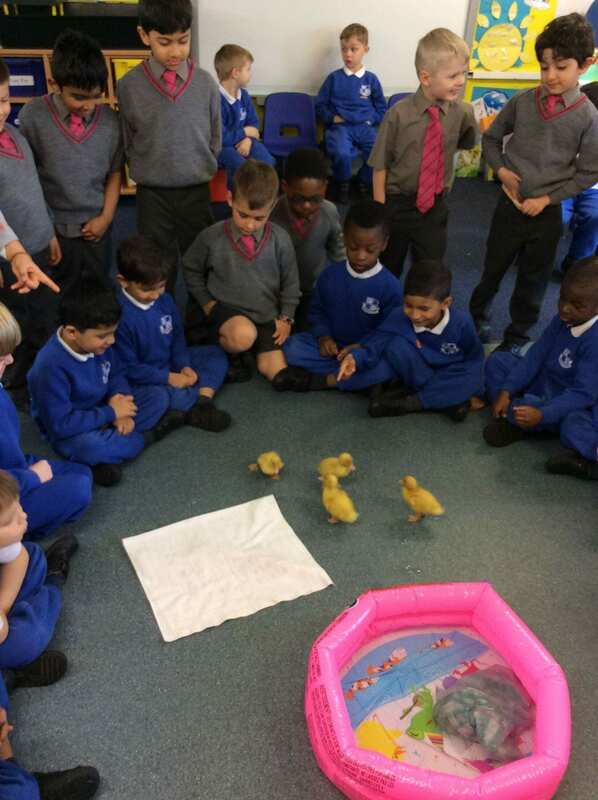 The boys loved visiting the ducklings in Reception. 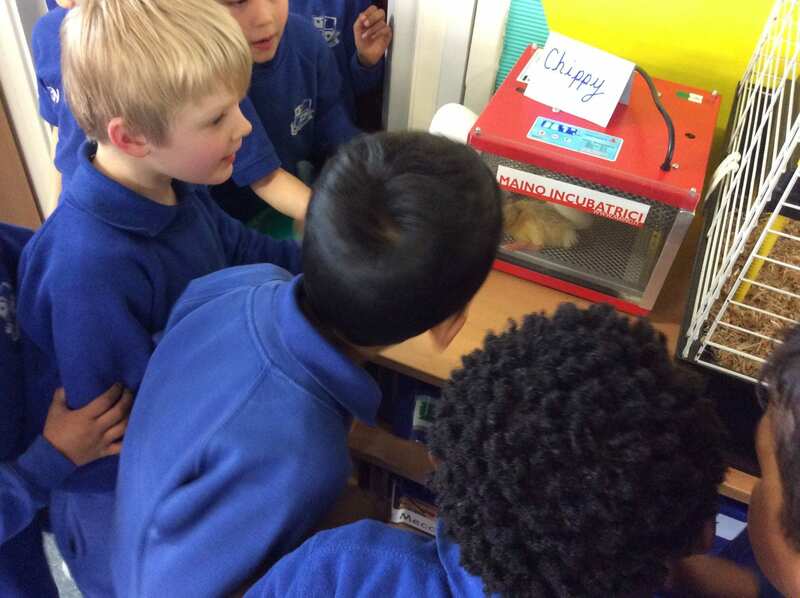 We watched a video of the first one hatching, the boys were very excited! 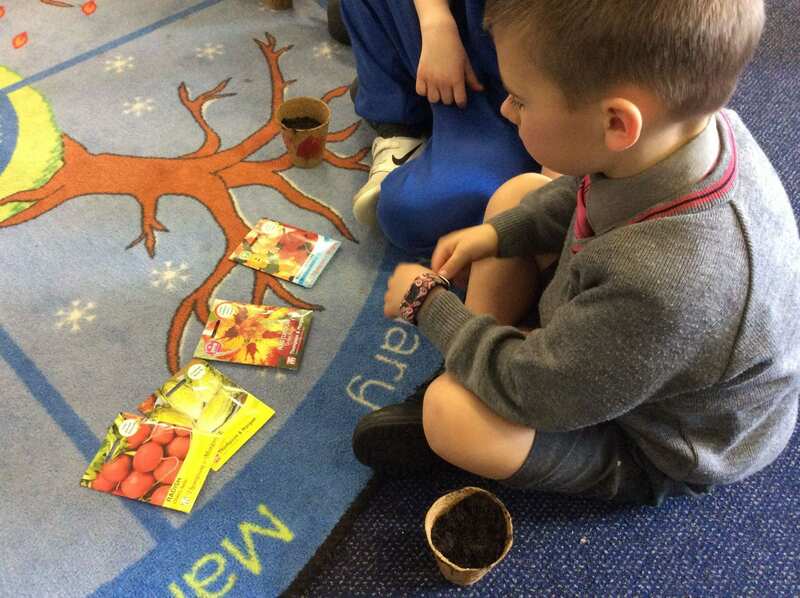 In the afternoon the boys planted their seeds. 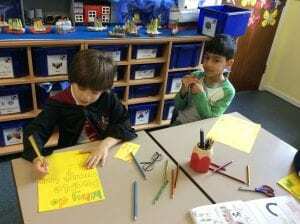 The boys have been learning about multiplication and division. Here are some problems to solve! 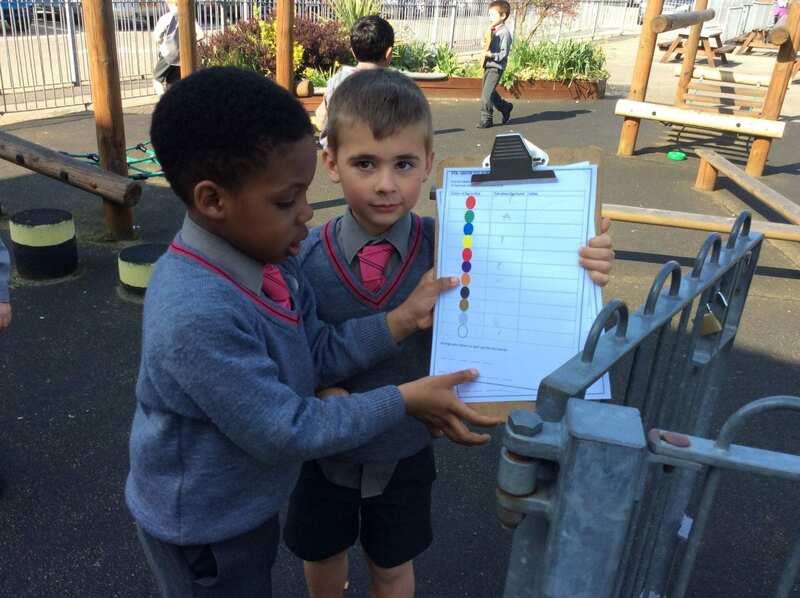 Find 6 objects and share them between 3 toys. How may objects will the toys have each? Find 10 colouring pencils and sort them into 2 groups. How many pencils are there in each group? Make 4 groups using 12 toys. How many toys in each group? Give 3 people 2 pieces of fruit each. How many pieces of fruit are there in total? 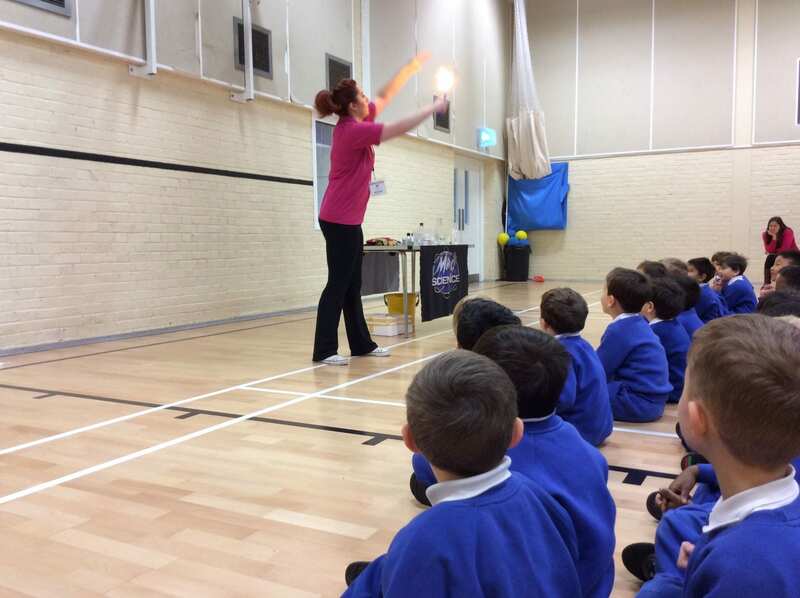 The boys enjoyed a wonderful visit from the Mad Scientist! 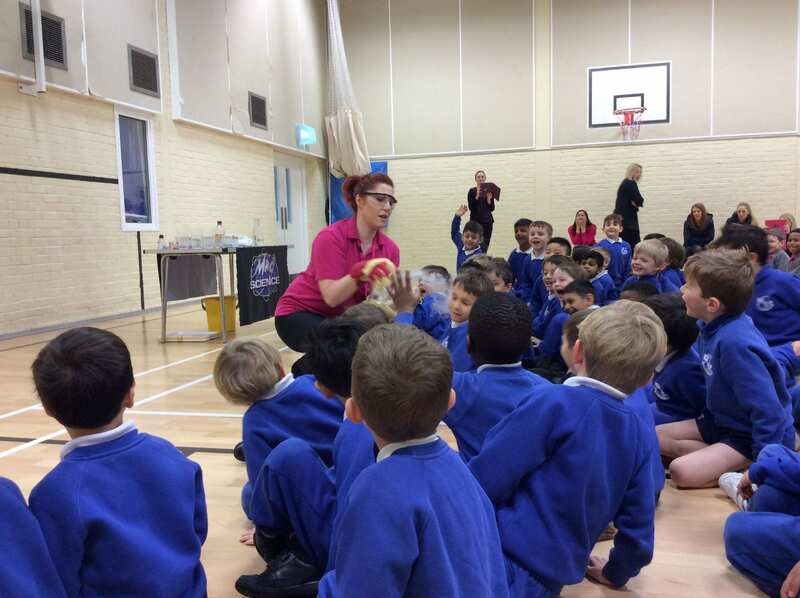 She showed the boys lots of different experiments. 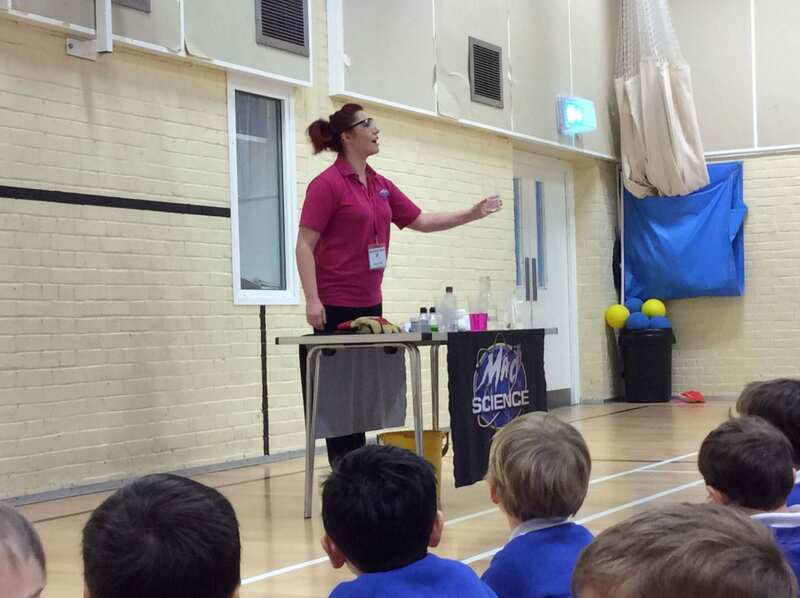 The Scientist taught the boys what a physical and chemical reactions is. 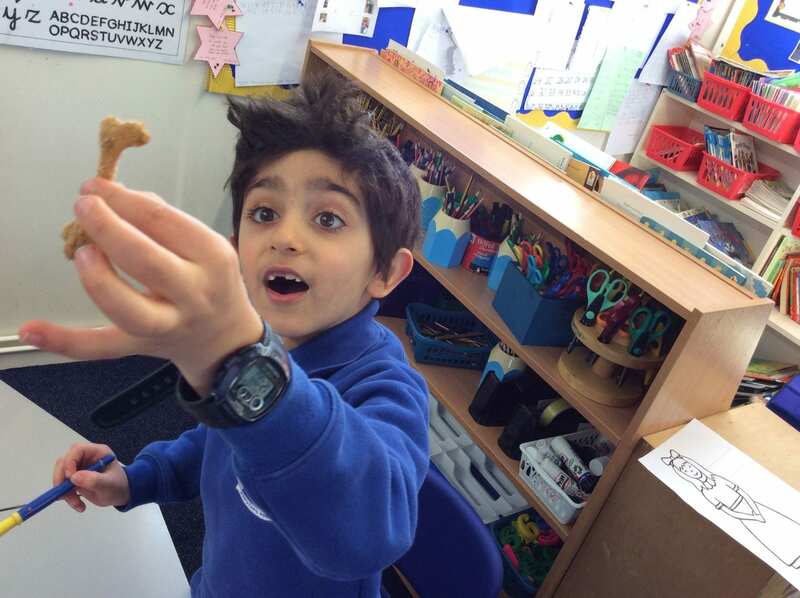 The boys had lots of fun taking part in a Science workshop about Dinosaurs. 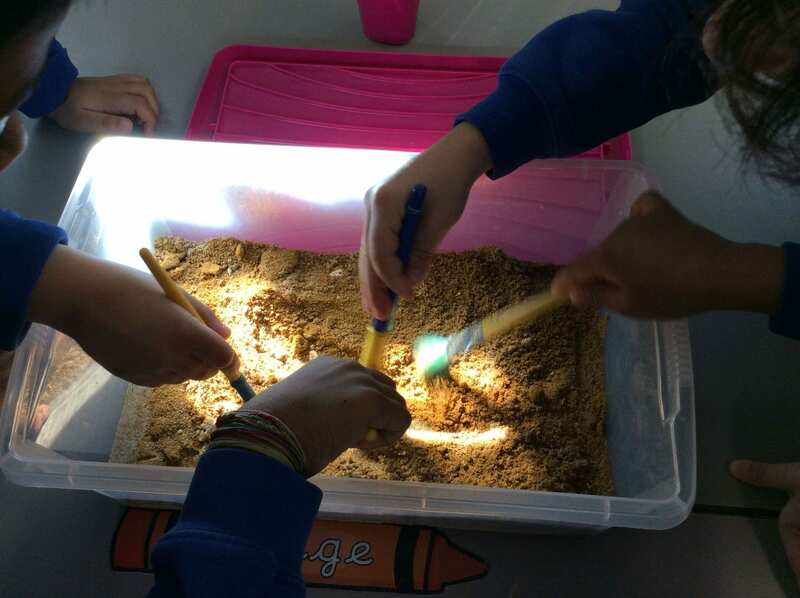 They made dinosaur teeth and dug for dinosaur bones. 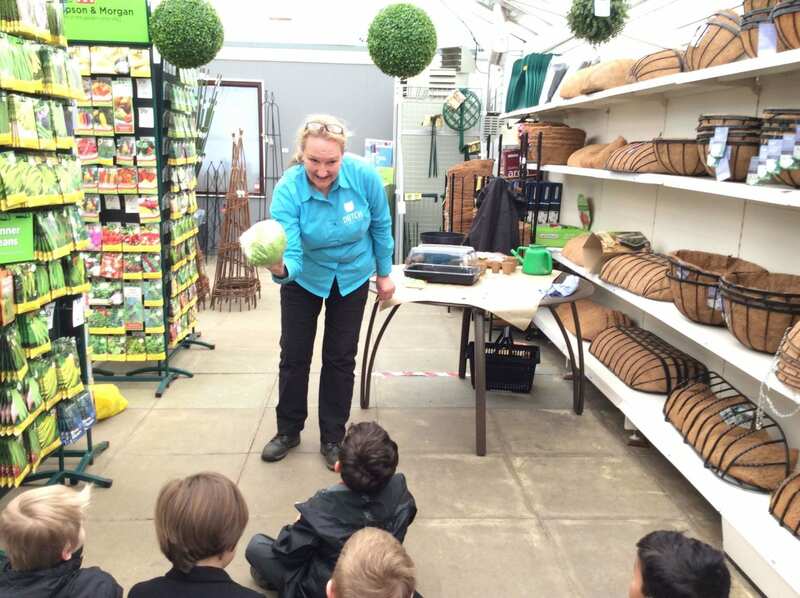 They learnt about carnivores, herbivores and omnivores. 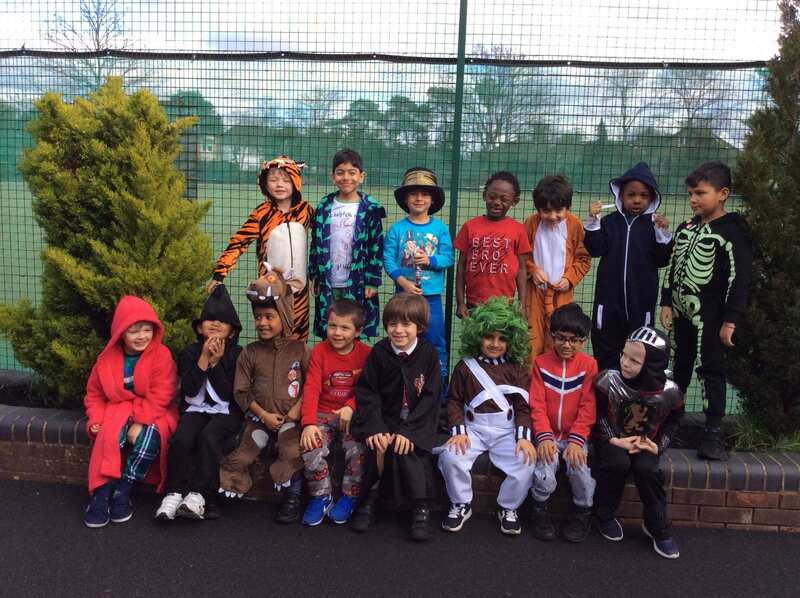 This week the boys had a fantastic time dressing up for World Book Day! We had some wonderful costume ideas. 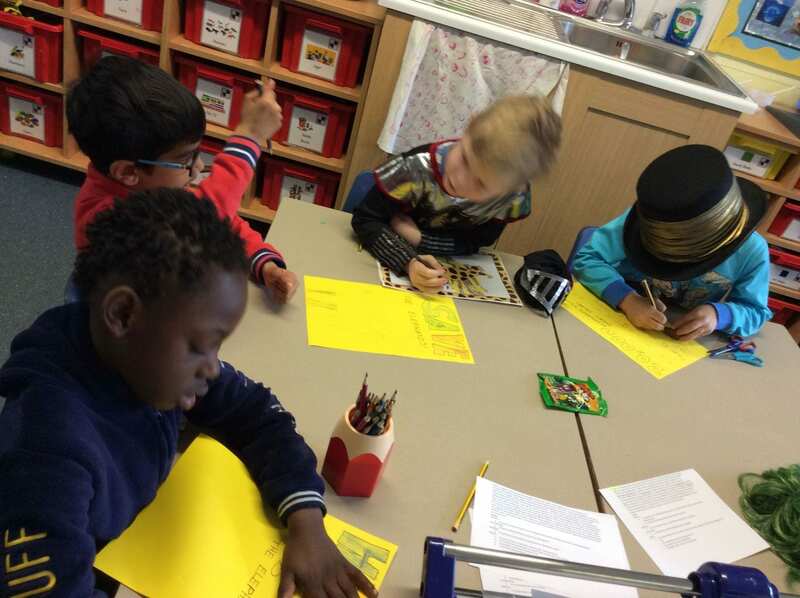 The boys carried out lots of research about the UK ivory ban. 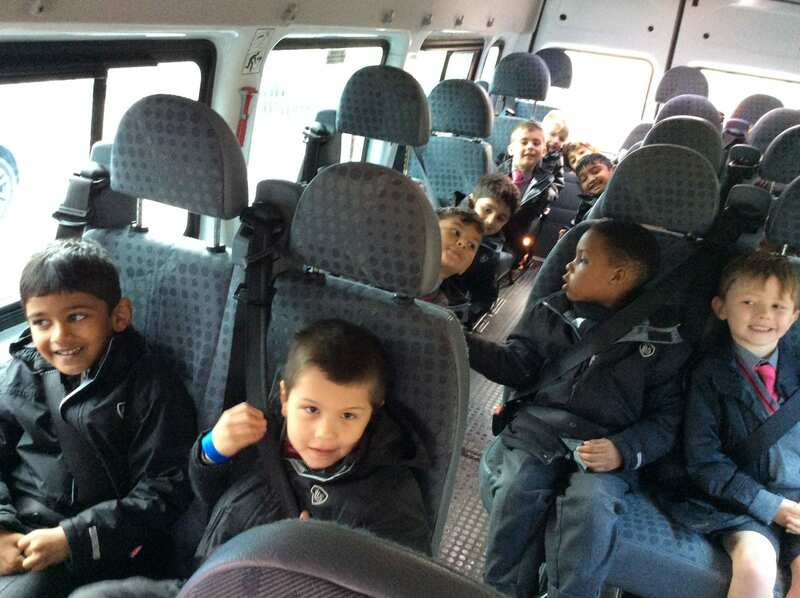 We have been filming the boys reporting on this topic which will be part of our children’s Newsround. 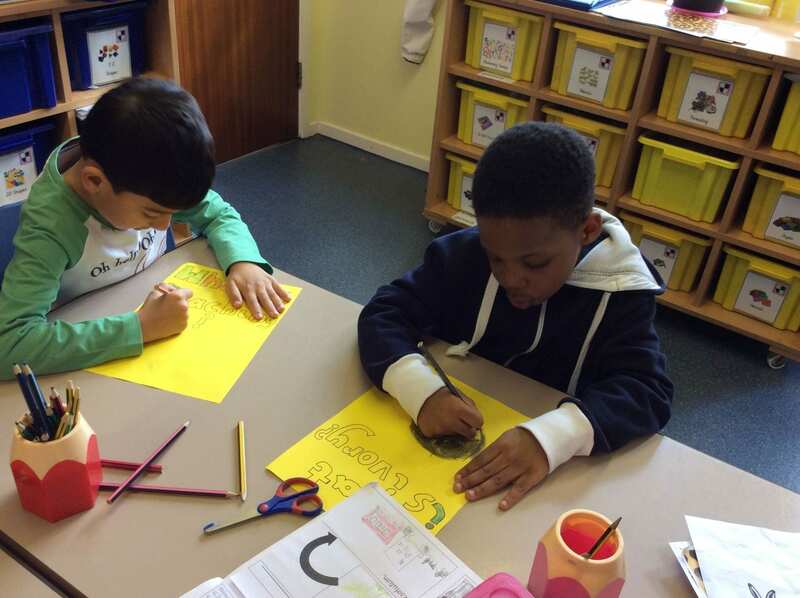 In Maths this week the boys have been learning about division. 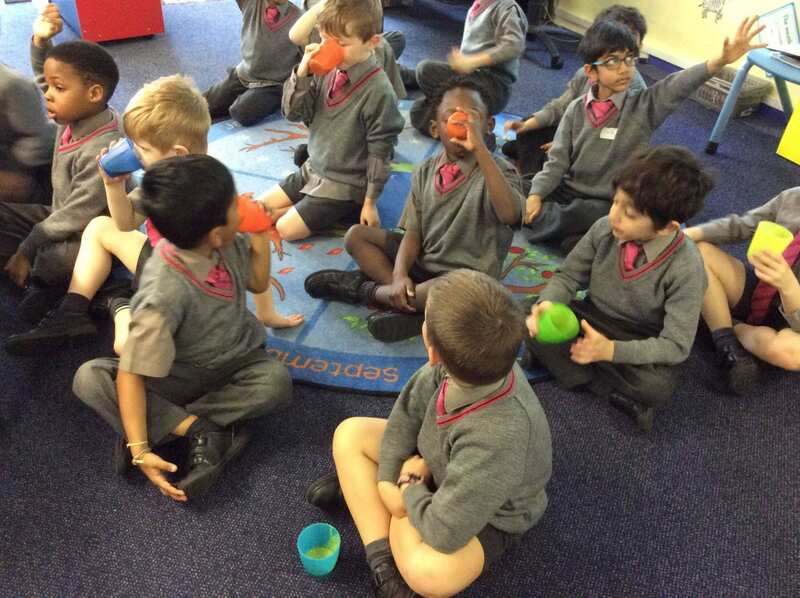 They used a range of practical resources and they have been dividing objects into groups. 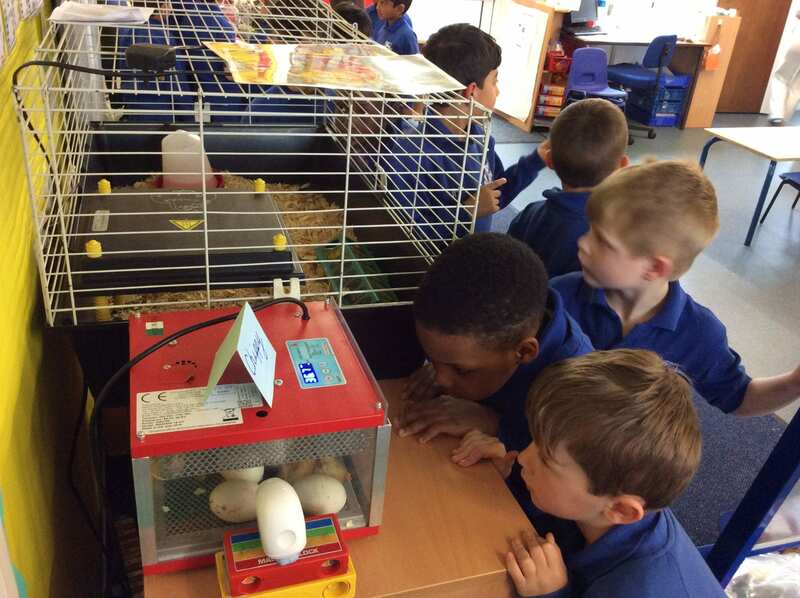 In Science this week the boys have been discovering the different habitats in which animals live. 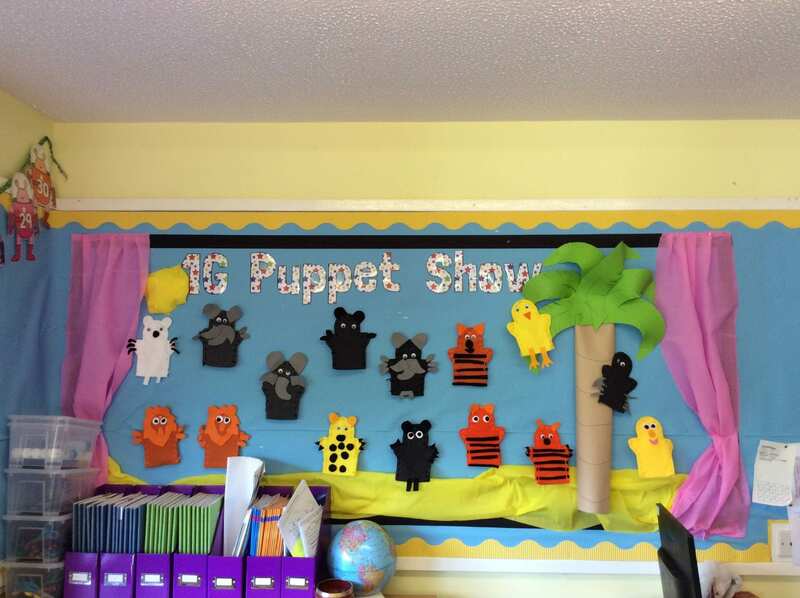 The boys made some colourful animal puppets this week. 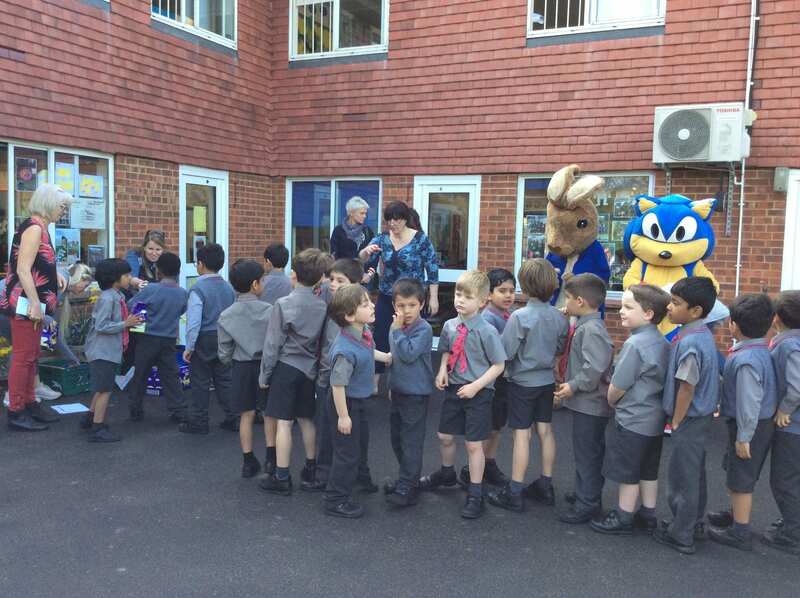 Thank you to everyone who came to help the boys sew. 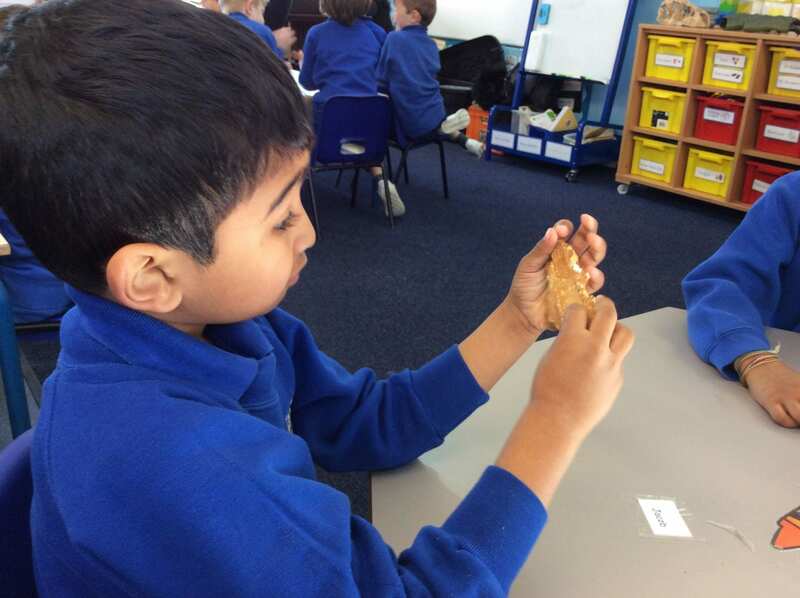 In Literacy this week the boys read the poem ’10 things found in a ship wrecked sailors pocket’. 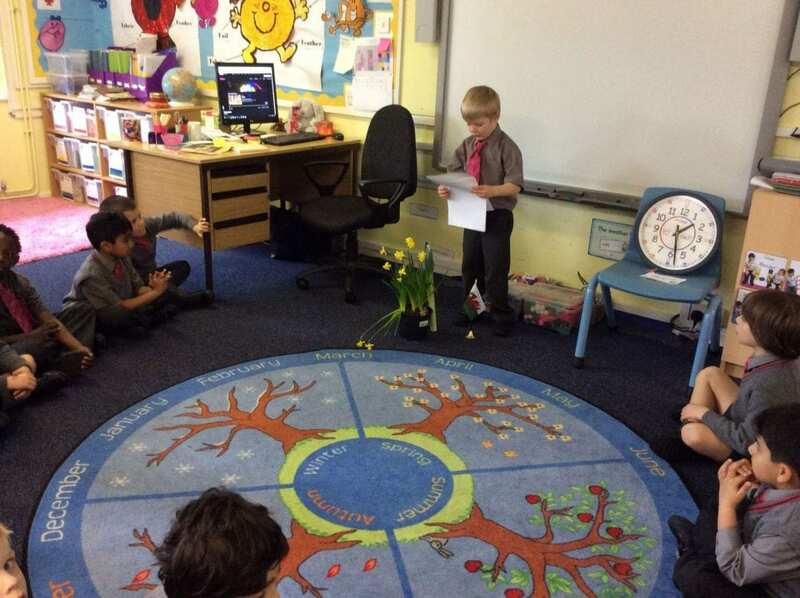 The boys then wrote their own version of the poem. 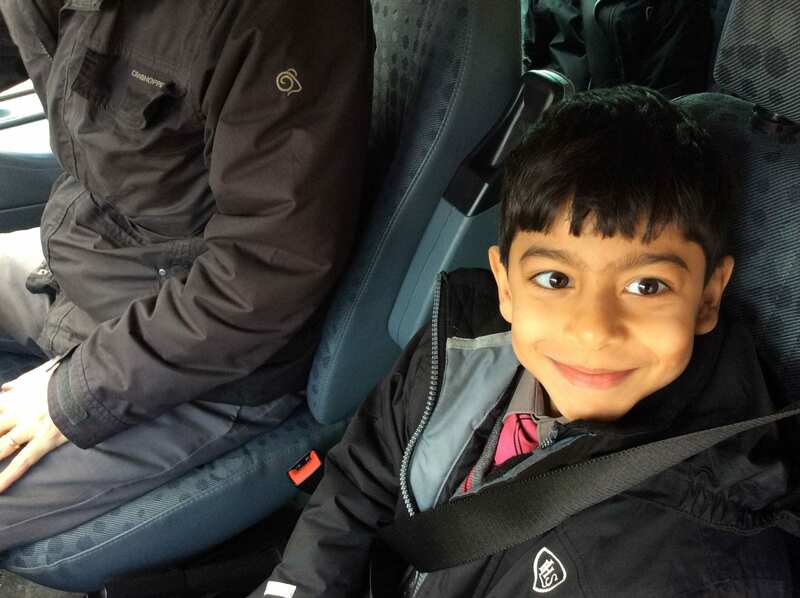 We had some wonderful ideas including police, chef, Captain Smiths and my Mum’s pocket. 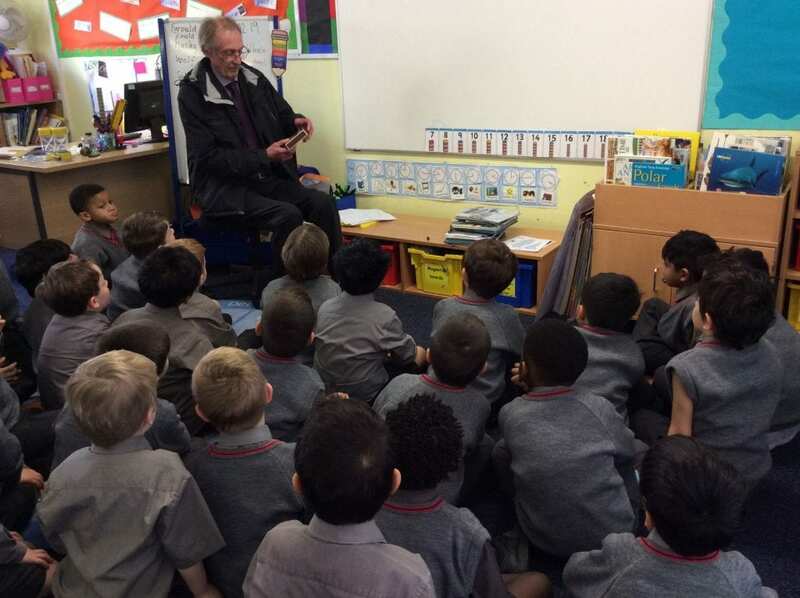 Mr Fairclough came to visit the boys. 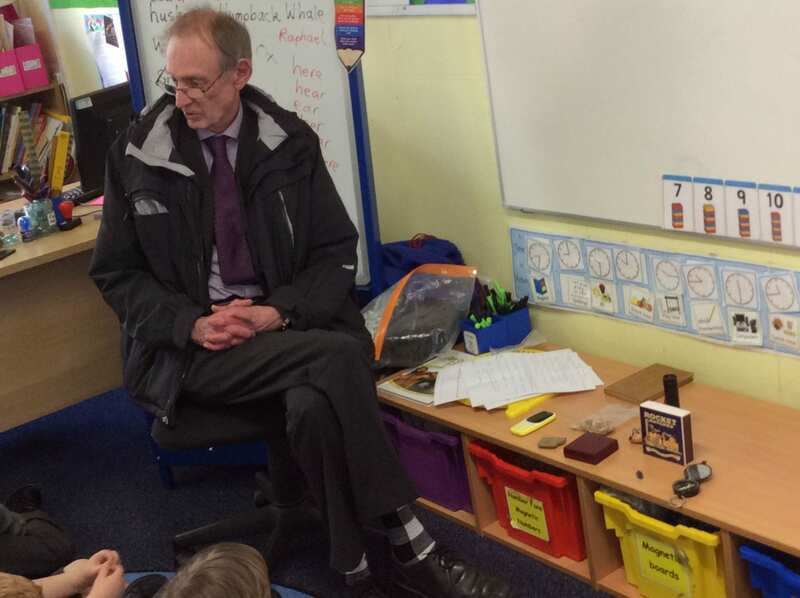 He had 10 things in his pocket which retold the story of how the world was created and how it has developed. In Maths this week the boys have been learning about multiplication as repeated addition. 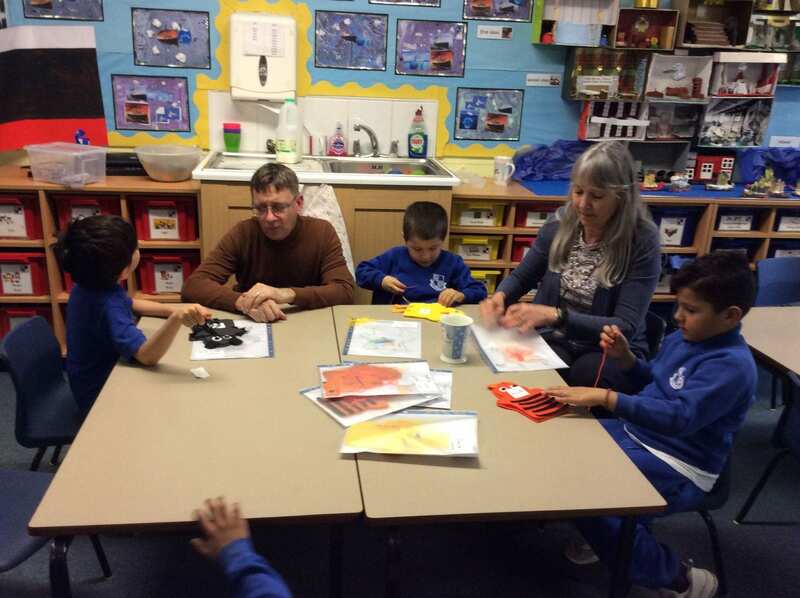 They have been making groups of objects as well as using themselves. 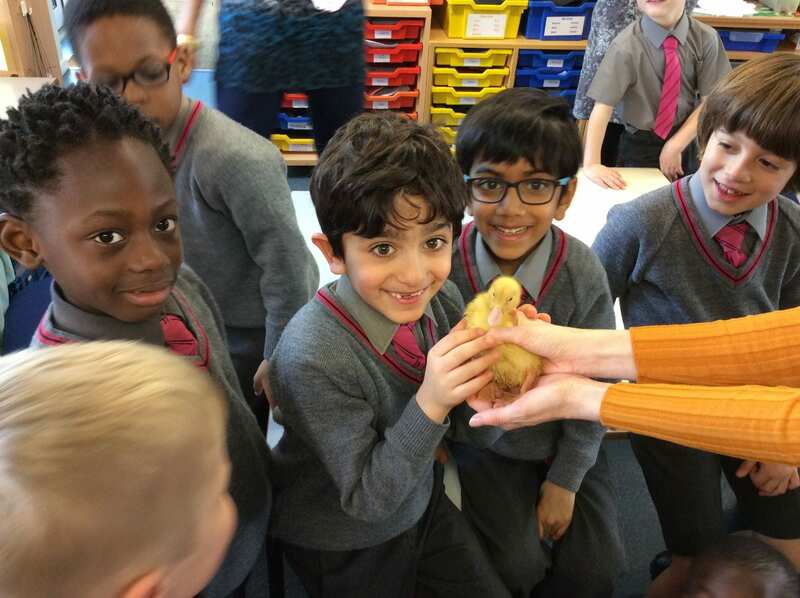 In Science our new topic is animals and their young. 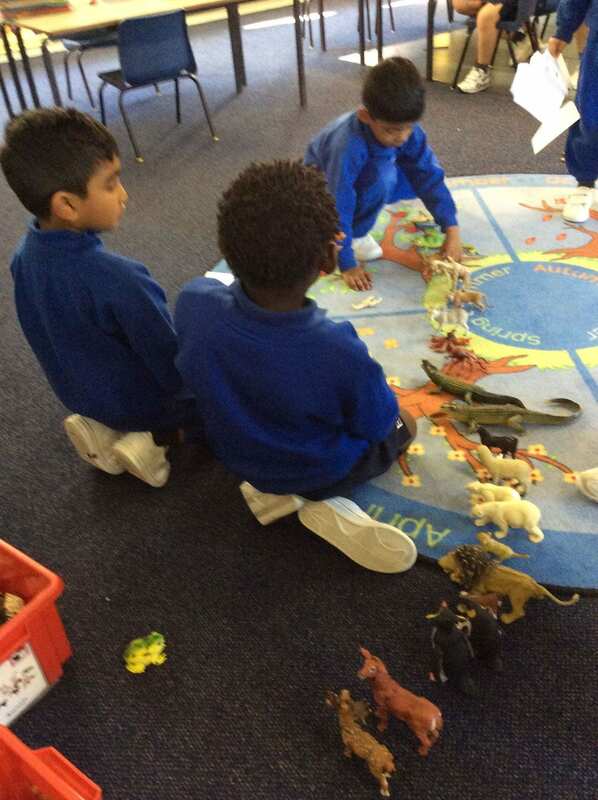 The boys enjoyed learning about all the different animals and matching them to their babies. 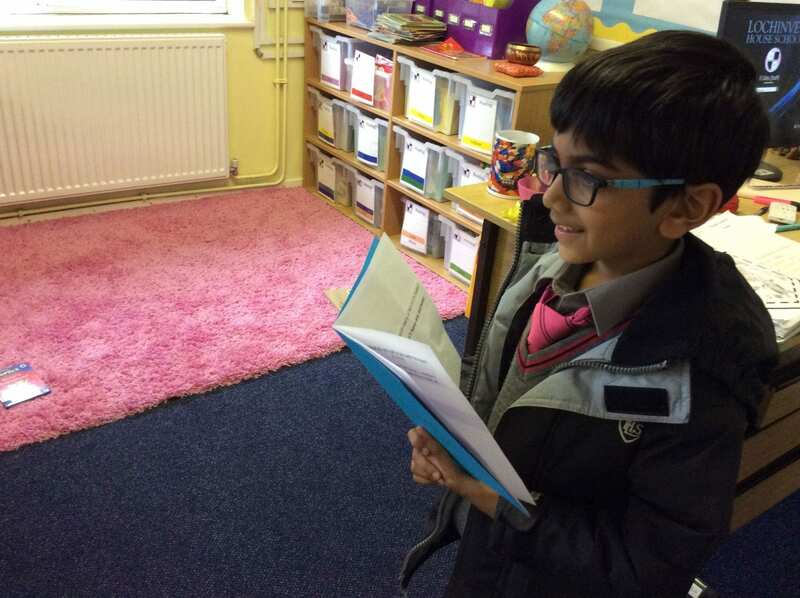 Savan has been entertaining the boys at the end of the day with a joke book he has written. The boys had a good laugh! 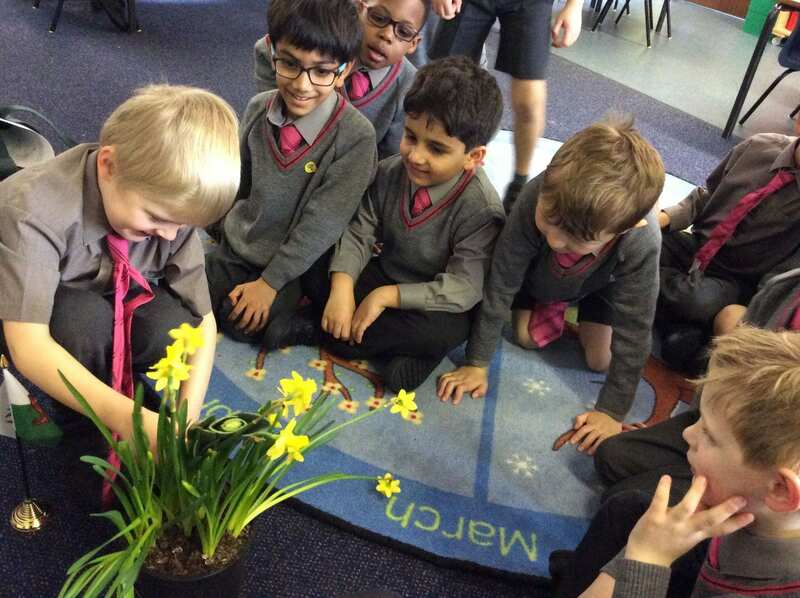 The boys learnt the story behind St.David’s Day and Jack shared with them some significant objects that represent the day. Before half term, you had fun measuring different objects and learning how to measure circumferences. Here are some questions to find out how much you know! 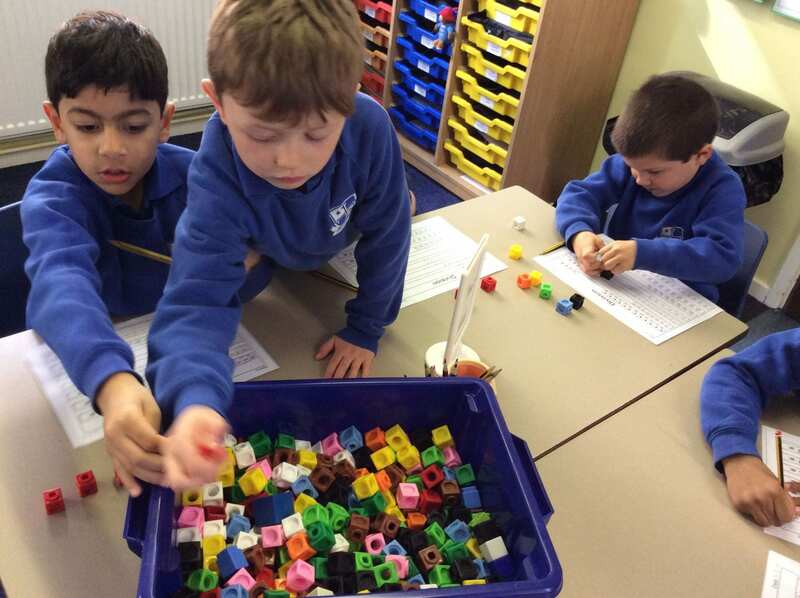 How many centimetres are there in a metre? 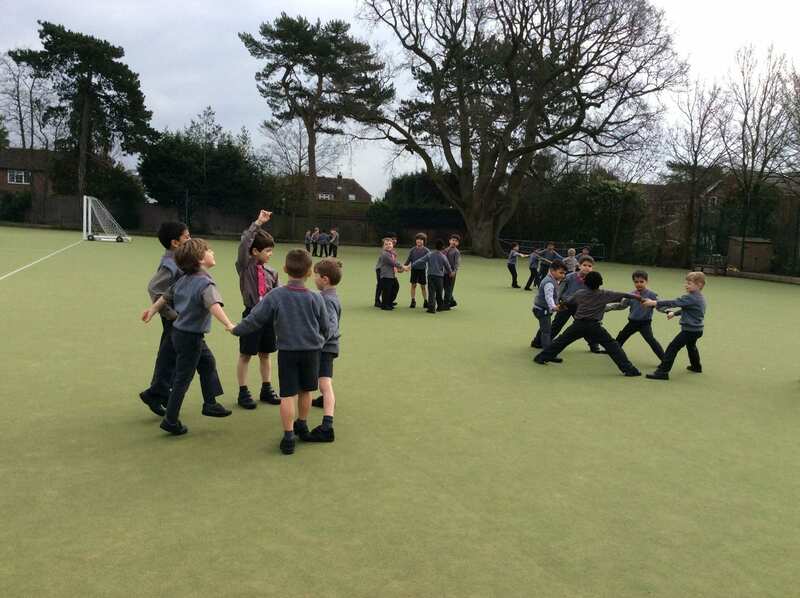 If you were asked to measure a football field, would it be more sensible to use a ruler or a metre stick? Why? Centimetre is a long word! How do we abbreviate it? How do we abbreviate the word ‘kilometre’? Jack M on Maths Challenges! Cruz lacey on Maths Challenges!